Sri Lankan-vegan young/green jack fruit curry(polos). 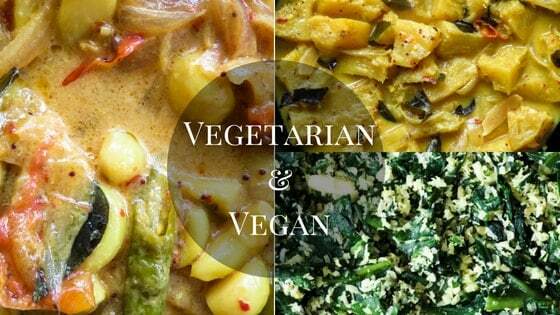 Sri Lankan-vegan young/green jackfruit curry also known as Ambul Polos in Sinhalese. Enjoy a meatless meal just by adding polos curry to your menu. If you visit the island, this is one dish you don’t want to miss trying. 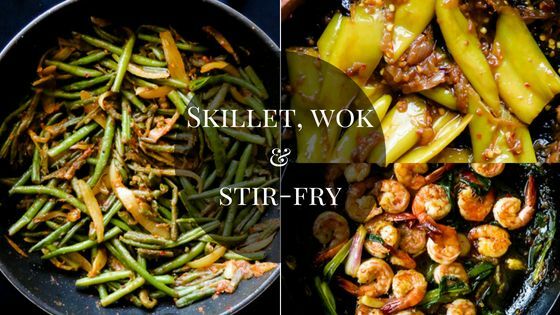 A unique Sri Lankan recipe that you’ll definitely fall in love. This post contains affiliate links where at no additional costs to you, I will earn a commission if you click through and make a purchase. 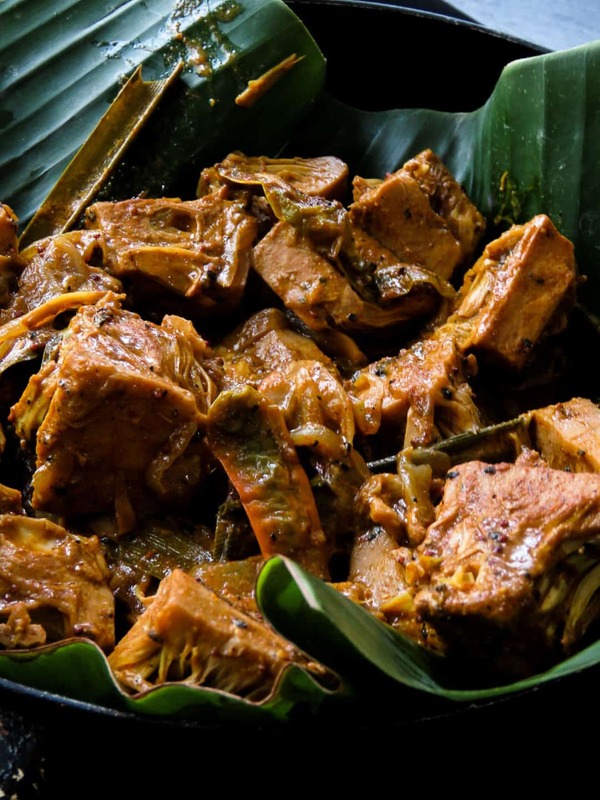 If you ask me, what’s some of the best foods to try in Sri Lanka, I’ll point you to this slow-cooked baby jack fruit curry, especially if you are a vegan or vegetarian. You’ll probably get the same answer from any Sri Lankan if you ask them to list his/her favorite food or what they miss most. and you’ll find“polos curry” or more familiar to you, the vegan jackfruit curry. It’s a curry reminiscent of home and mamas meals. But there’s more than home cooked food that makes green jackfruit curry(polos) so popular here, part of the reason is when cooked with all the right spices and coconut milk, is an absolute die for dish. If you can get your hands on a slow-cooked baby jackfruit curry that’s cooked for more than 6 hours, the more traditional way, dear reader, you are one lucky person. 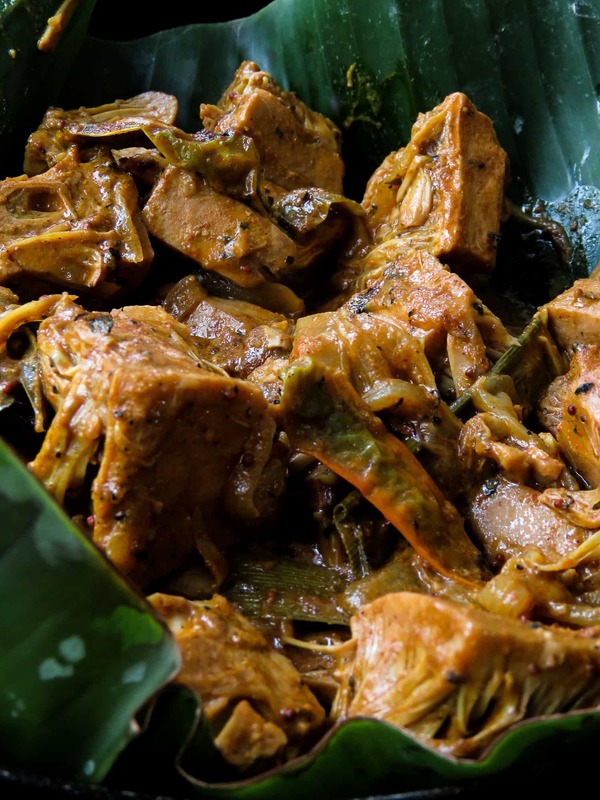 What does Sri Lankan jackfruit curry taste like? Once cooked, the jackfruit curry doesn’t taste like your regular vegetable at all and this is because of its meat-like texture. Spicy, a bit sour around the edges, loads of spices, makes you think of home and family and just bring a smile on your face. Wait, am I describing the food here or the people? 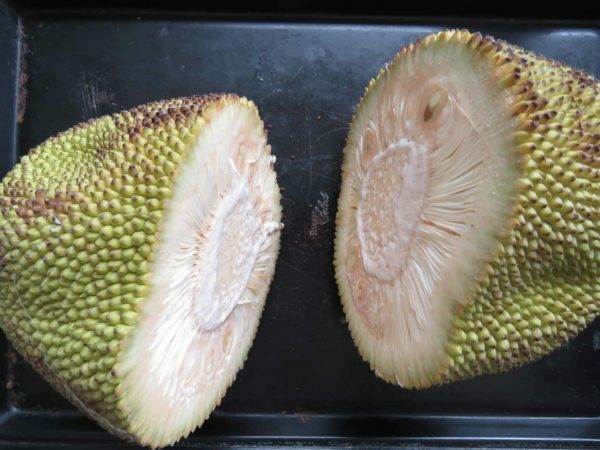 What is the difference between Jackfruit, green/baby jackfruit? When we say jackfruit as in the jackfruit curry(kiri kos) recipe, I am referring to the jackfruit that is mature but not yet ripe. The seeds have former and the color of the pods are almost white and firm. 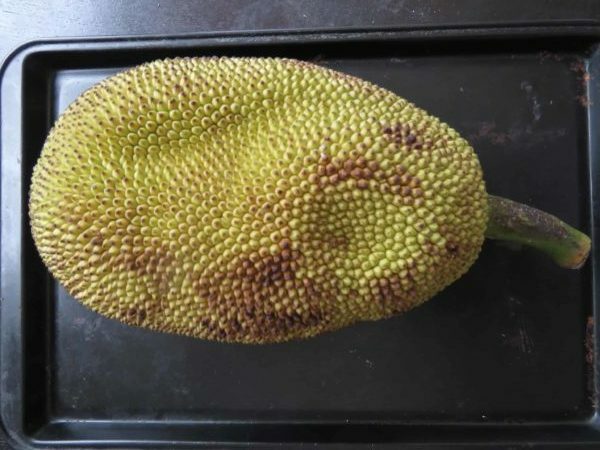 When the jackfruit reaches the ripening stage where natural sugar has formed then the fruit turns sweet which we don’t cook but eat as a fruit. This is the stage where the fruit takes on the color of orange. I see a lot of vegan recipes where ripe jackfruit is turned into some kind of dish, I simply can’t imagine the taste of these dishes, because at this stage the fruits dominant flavor is sweet. When I say, green/baby or even young jackfruit, I am referring to the fruit when it’s quite young, green, hard and small compared to the size the fruit becomes when it matures and turns ripe. the seeds have not formed. This is the baby/ green jackfruit, we are using to make Jack curry(the polos curry ). All you need to know about baby/young jackfruit. All of a sudden, I see “polos” as we like to call it, turned into a meat substitute and used in tacos, burgers, sandwiches and even pizzas. It is kind of strange to see, “polos” in any other way than the curry I am used to. I mean it’s everywhere! 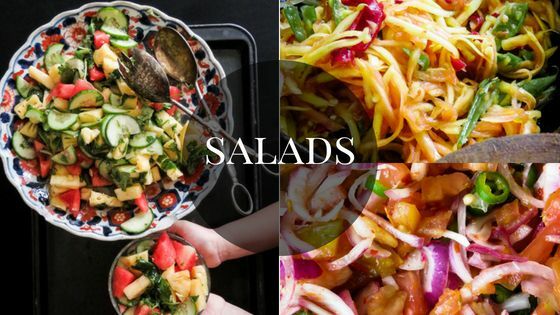 But I do understand why it’s popular and trending, mostly because of its nutritious value and meaty texture that can provide much-needed protein and fiber for vegan, vegetarian diets. How to clean a young jackfruit. Ok, honestly, cleaning this baby was a real pain! You might notice that I’ve skipped some of the images but will be explaining to you as I describe the cleaning process. I just couldn’t risk the white sap that oozes out of the fruit sticking to my camera lens. So here we go, before you even begin cleaning the jackfruit, have the following things ready. have the garbage bin or your wastebasket ready on the side. Place a few newspapers or an old baking tray as I’ve used but I suggest newspaper because cleaning the tray is going to take you days once the white sap gets into it. Have some tissues ready to clean off the sap as it oozes and oil the knife(not the handle)well, I would also suggest using your oldest but sharpest knife. have a large pan filled with water with half a teaspoon of turmeric to keep the cut and cleaned jackfruit from discoloring. 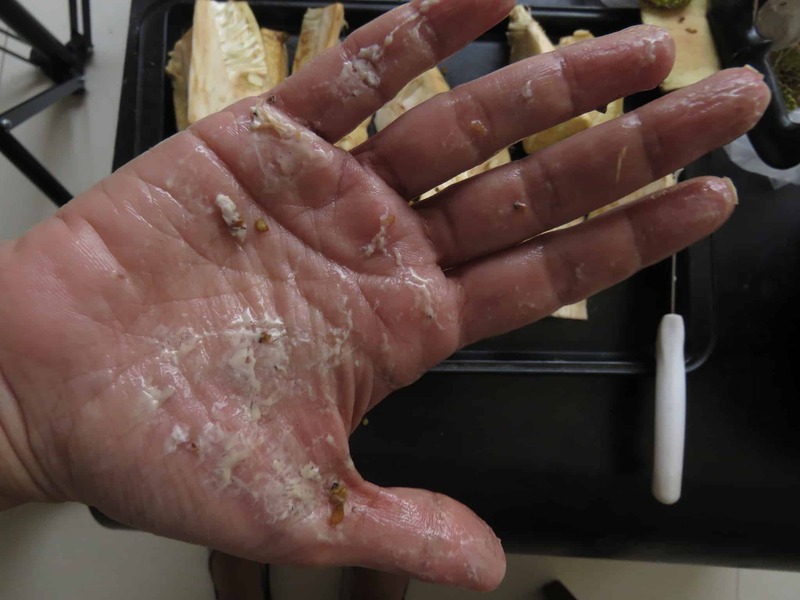 Cut the fruit in two, as you cut, be prepared to wipe off the sap, try to do this as quickly as you can as every cut you make to the fruit will produce this troublesome sticky sap. See what I mean, it took a few oiling and repeated washing to get rid of the sticky sap. you can also use disposable gloves. Once you’ve cut the fruit in two, start cutting the green outer skin(the spiky textured outer layer) again make sure to have tissues handy to catch any sap. Once you’ve cut the skin, cut them into wedges as shown above. Notice the hard stem in the middle of the wedges? cut these off(see above image). once you’ve got rid of the stem, cut the remaining fruit into cubes as shown below. 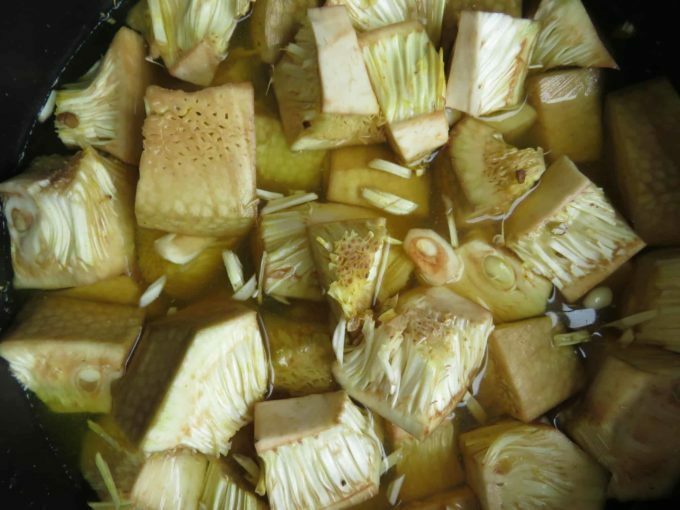 Transfer the cut jackfruit cubes to the turmeric water and have it ready for cooking. 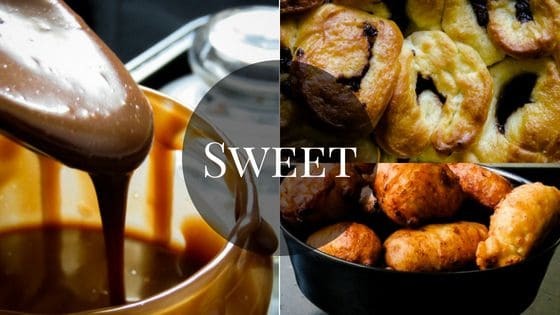 Save the recipe to your favorite Pinterest board! Why are you not using goraka for the jack curry? You can if you want to stick to the authentic version of the recipe but I find the tamarind juice gives adequate sourness to make the Jack curry(polos ambula). You can add a piece of goraka to the curry if you want to. I’m simply adding a substitute for readers who are not familiar with goraka and how we use it in Sri Lankan food. How can I turn the polos curry to a darker color which I am used to eating at home? This takes a longer cooking time. Turning the polos curry to a darker shade of brown can be done by continuing to slow cook the jackfruit curry from the time you add thin milk, in low heat for a few hours(maybe 1-2). Can I use canned jackfruit? Yes, the canned versions can be so much easier. Where can I find canned jackfruit? If you are living overseas and since the baby jackfruit is popular as a plant-based protein option. Try on the vegan food section(if there is one)or on the Asian ingredient aisles. Try Thai stores and Indian stores. Canned jackfruit can also be found Amazon. here’s the link. Have the jackfruit cleaned and cut(see notes above on how to clean). Have all the necessary ingredients ready to prepare the dish. 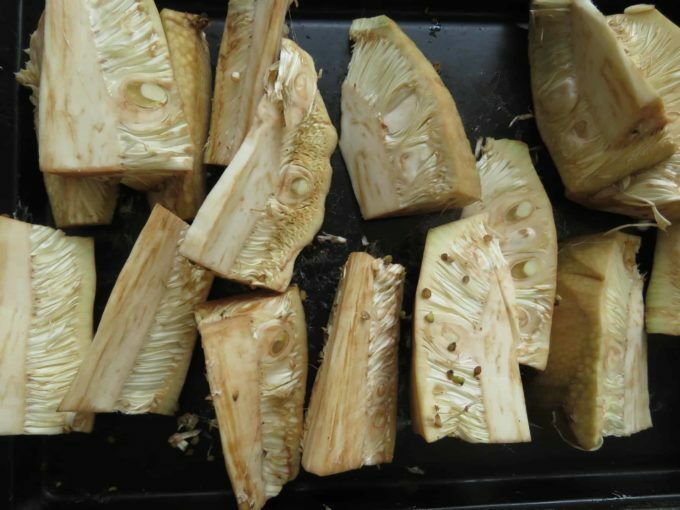 Once you’ve cleaned the jackfruit, drain water and place the cut jackfruit cubes in a large bowl. Add turmeric, roasted curry powder, chilli powder, pepper, tamarind juice, salt to season and combine all the ingredients. set aside. Place medium-sized pan or clay pot over low-medium heat and pour in the oil. Add curry leaves, pandan, onion, ginger-garlic and cook the ingredients over low heat until they release their aroma. 3-5 minutes. Add cinnamon, cardamom and continue to cook until onions turn slightly brown, finally add the mustard seed to the pan and cook for a few minutes(2-3). Once all the tempered ingredients are ready, add the jackfruit that has been marinating in spices and combine while cooking over low heat for 5 minutes. Add the thin milk, cover halfway with a lid and slow simmer over medium heat until thin milk evaporates and the jackfruit is halfway tender. 15 minutes. Once the thin milk evaporates, add thick milk and continue to slow simmer for further 20-30 minutes until the jackfruit is quite soft and you are left with a thick gravy. Check and season with salt if necessary. while the jackfruit curry is cooking, you can also add another 1/2 teaspoon of roasted curry powder for more flavor and color. Cook until the coconut milk has completely reduced leaving just an enough to coat the jackfruit. SRI LANKAN-VEGAN YOUNG/GREEN JACKFRUIT CURRY ALSO KNOWN AS AMBUL POLOS IN SINHALESE. ENJOY A MEATLESS MEAL JUST BY ADDING POLOS CURRY TO YOUR MENU. IF YOU VISIT THE ISLAND, THIS IS ONE DISH YOU DON’T WANT TO MISS TRYING. 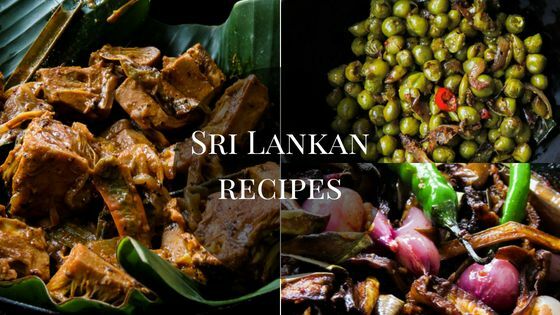 A UNIQUE SRI LANKAN RECIPE THAT YOU’LL DEFINITELY FALL IN LOVE. Add the thin milk, cover halfway with a lid and slow simmer over mediumheat until thin milk evaporates and thejackfruit is halfway tender. 15 minutes. Once the thin milk evaporates, add thick milk and continue to slow simmer for further 20-30 minutes until the jackfruitis quite soft and you are left with a thick gravy.